The parents of a teenager who threw herself in front of a train while mourning the death of her classmate have hit out at council’s failure to help her after she was sexually abused. Scott and Sue Stroman said Haringey Council, in North London, had ‘questions to answer’ over the death of 16-year-old daughter Mary while at her inquest today. The coroner ruled that the schoolgirl took her own life after she was struck by a train near Trowbridge in Wiltshire close to the residential unit she had been staying at. Her parents told the court their daughter was subjected to a ‘terrible sexual trauma’ involving an older man or men, which led to a serious deterioration in her mental health. The couple said: ‘Rather than apportion blame, it is our wish to bring attention to these issues in the hope that other children in similar circumstances can benefit. ‘Mary herself would never reveal the details of what happened to her and without her co-operation the Metropolitan Police felt they could not pursue an investigation, even though we were able to provide times, dates, physical evidence from phones and computers and even clothing. 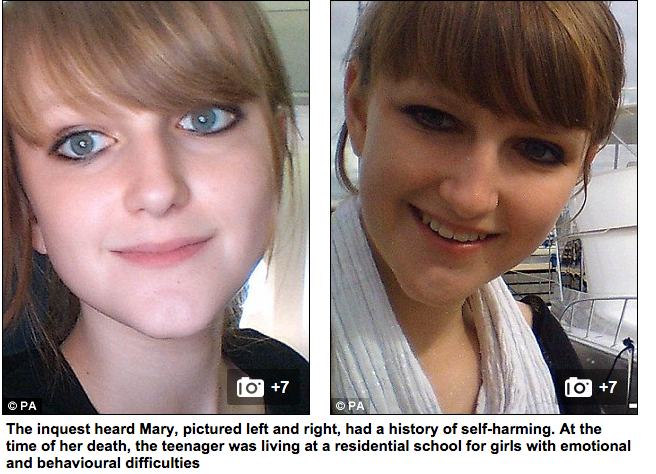 They also criticised the 13-month delay in Haringey Council funding a therapeutic residential placement for Mary. ‘The continual delay seriously impacted her mental health, providing her with constant false hopes, repeated disappointments and a deterioration of trust – leading at times to despair,’ they said. ‘In the meantime, Mary had suffered many further months of grief and mistrust, had been subjected to a further series of assessments and had been assigned a changing series of social workers, forcing her to “tell her story” over and over. She was tired and tormented and lost confidence in the fact there was a way forward for her. Mr and Mrs Stroman added: ‘It is a terrifying prospect that our beautiful daughter and other children like her could ever choose suicide as a potential solution to life’s challenges. Mary was the youngest of five children of Mr Stroman, a renowned jazz musician, composer and conductor, who is one of the most prominent figures in London’s jazz scene, and his wife, a nurse. The two-day inquest in Salisbury heard that the schoolgirl killed herself on January 15 this year – two days after the inquest had begun into the death of her friend Tallulah Wilson. 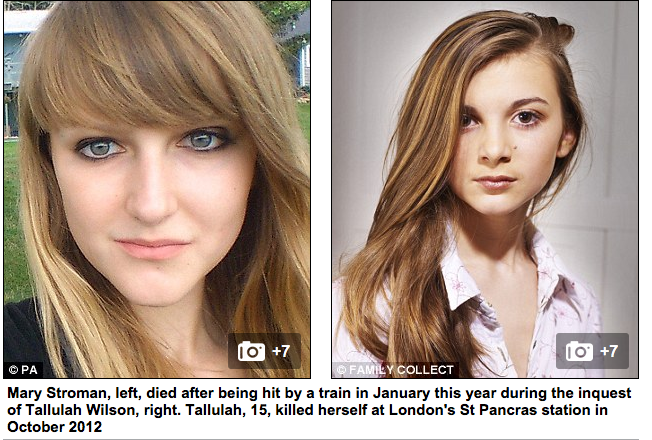 The 15-year-old died at London’s St Pancras station in October 2012 after she was also struck by a train. The girls were classmates at St Marylebone School in Central London and played together in the orchestra where Mary played piano and viola. At the time of Mary’s death she was a pupil at the Tumblewood Community School in Westbury, Wiltshire, which is a residential school for adolescent girls with emotional and behavioural difficulties. The decline in her health had begun after she told friends she had been sexually abused and was later diagnosed with post-traumatic stress disorder after several incidents of self-harming. The inquest heard that the driver of the First Great Western service from Portsmouth to Bristol Temple Meads saw a figure on the railway line but was unable to stop in time. A post mortem examination found Mary had died instantaneously from multiple injuries. Wiltshire and Swindon coroner David Ridley concluded Mary had taken her own life while suffering from complex post-traumatic stress disorder but insisted there was no evidence to link her death to Tallulah’s. 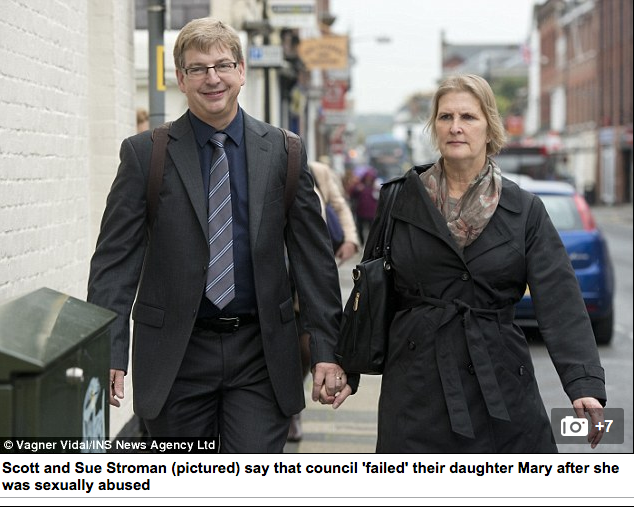 ‘I am satisfied on the balance of probabilities that it is entirely appropriate to make a finding of fact that Mary suffered severe mental trauma, more likely than not as a consequence of previous episodes of sexual abuse,’ he said. ‘However, due to Mary’s reluctance to disclose these details, details of exactly when and where these incidents occurred are unclear but I am satisfied she suffered mental trauma as a consequence of these episodes. The coroner said the notes Mary left behind in her room did not mention Tallulah at all but did refer to the ‘perpetrators of abuse’. ‘Although they were friends at school there is no evidence before me that allows me to make a finding of fact that these two deaths were linked,’ Mr Ridley said. ‘In my judgment any link would have to be as a result of pure speculation. We will never know what happened and what triggered Mary to take the action she did. ‘Possibly it was a flashback in relation to the post-traumatic stress disorder but there is no evidence before me and it would be pure speculation. 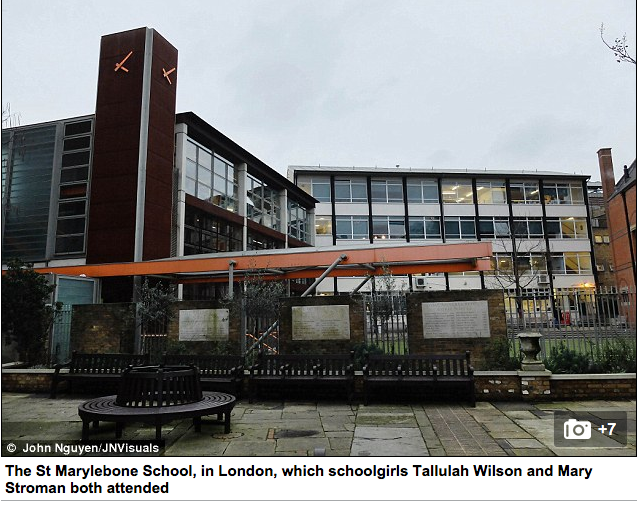 Mr Ridley added that he would be sharing his conclusions with both Haringey Council and the Met Police. After the inquest, Tumblewood Community School released a statement, which expressed ‘sincere condolences’ to Mary’s family for her ‘tragic’ death. 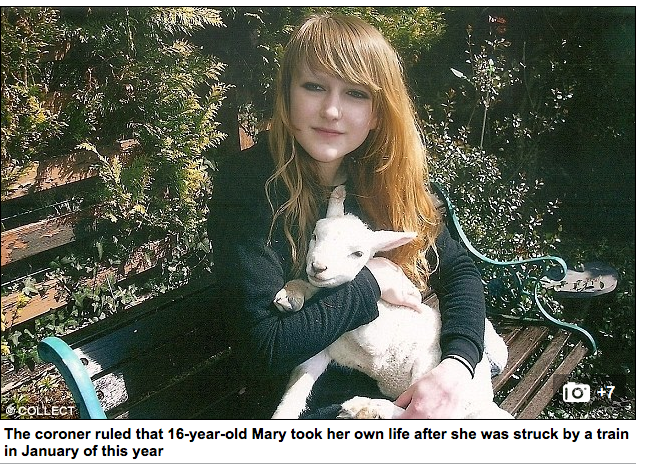 It said: ‘Mary was a popular and bright member of the community with a good sense of humour. A Haringey Council spokesman said: ‘This was a tragic incident and our thoughts are with Mary’s family at this difficult time. ‘This was a complex and difficult case and we worked closely with Mary’s family on decisions relating to her care. ‘We’d urge anyone affected by the issues raised by this case to speak to family and friends or seek confidential support from counselling professionals. For confidential support call the Samaritans on 08457 90 90 90, visit a local Samaritans branch or see http://www.samaritans.org.